The IMF-funded iStopMM project is off to a roaring start as it embarks on Year Three, reports IMF Chairman, Brian G.M. Durie, MD, from Reykjavik, Iceland. The ambitious study has 80,000 participants, making it the largest myeloma study in the world. Along with screening for early signs of disease, the 17-member team is exploring quality of life issues, examining neuropathy, and establishing a vast biobank. 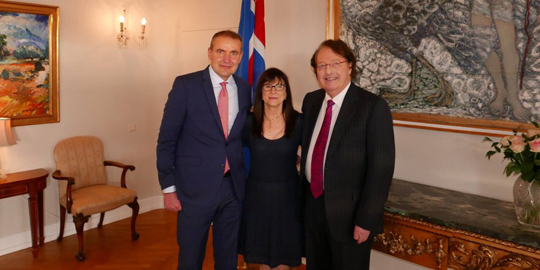 A ceremonial lunch hosted by Iceland’s president was held to honor the project. 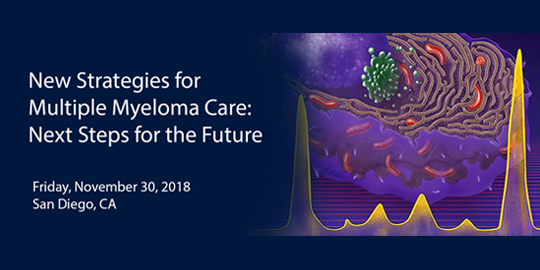 Join us for this year’s International Myeloma Foundation and Clinical Care Options co-sponsored symposium that will be livestreamed from 1:00-4:00 p.m. PST on Friday, November 30. An esteemed panel of international experts will offer their perspectives on practice-changing data and optimal management of patients with myeloma. Interact with the experts as they debate current clinical questions as well as the immediate and future implications for therapeutic decision-making based on emerging clinical data. Make your holiday purchases with a purpose this year. 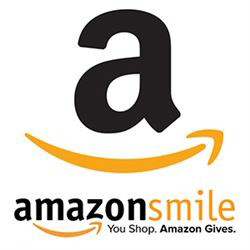 When you shop at smile.amazon.com and select the International Myeloma Foundation as your charity, Amazon donates a portion of your purchase to the IMF, at no added cost to you. It’s a win-win! This week, the IMF brings myeloma support group leaders and patients to San Diego for the 60th annual meeting of the American Society of Hematology (ASH), an exciting convergence of 20,000 health care professionals from around the world. We encourage you to read these patient, caregiver, and healthcare professionals’ blogs that are being posted in real-time from ASH. Also follow these ASH rock star bloggers on Twitter and Facebook as they share their insights with the hashtags #ASH18 and #IMFASH18. 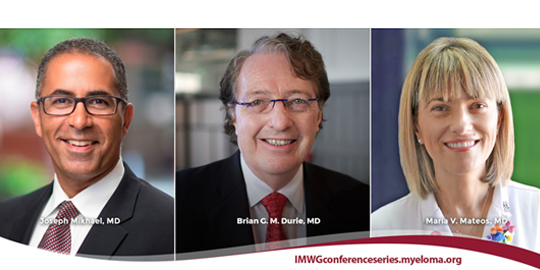 Patients, caregivers, and doctors around the world can view the IMF's popular livestream IMWG Conference Series, "Making Sense of Treatment" from the 2018 ASH Meeting at 8:00pm PST/10:00pm CST/11:00pm EST on Monday, December 3, 2018. IMF Chairman Dr. Brian G.M. Durie, Dr. María-Victoria Mateos from the University of Salamanca, Spain, and IMF Chief Medical Officer Dr. Joseph Mikhael will distill, debate, and discuss the latest news and trends in the treatment of multiple myeloma during this 60-minute webcast.